One common issue with Samsung Galaxy devices is the blank screen problem. This means that the entire screen shows a blank page with nothing on it, except that the backlight is on. Otherwise there is nothing else on the screen. The battery is completely drained or there is not enough power for the device to turn on. An installed app is causing the screen to turn blank. 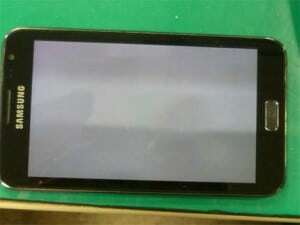 The blank screen is caused by physical or liquid damage. Connect your device to a power supply and leave it a few minutes to charge a little. Try again to start the device. If you still have problems go on to the next step. Another common solution is to remove the battery for 30 seconds, and then restart the device. If the screen goes blank due to an application, you will have to completely uninstall that application. If the problem is still not fixed, it may be a hardware issue that can be repaired at a repair service center.